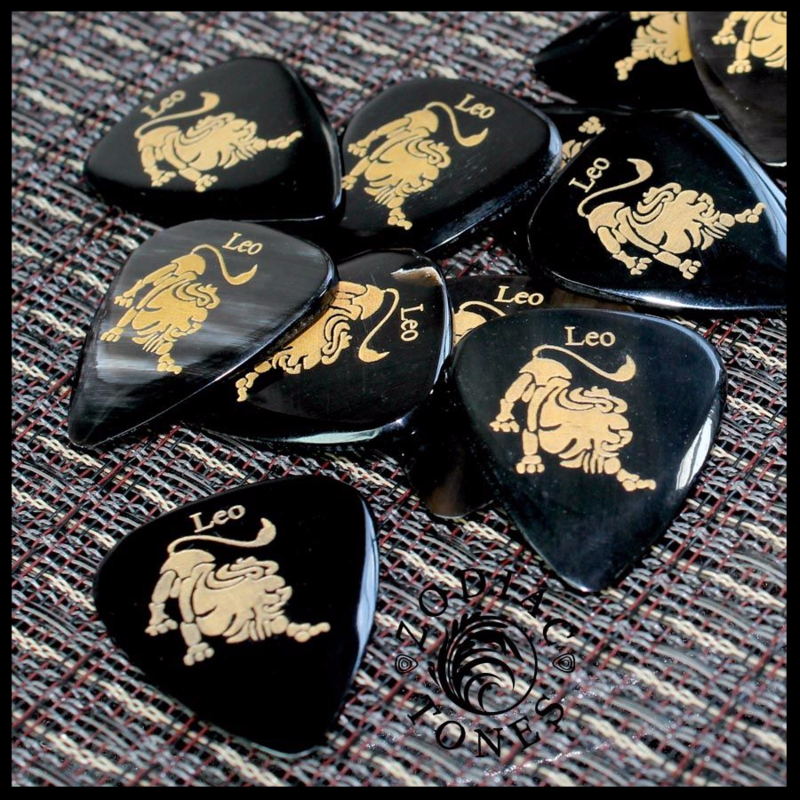 We recommend Zodiac Tones for Acoustic Guitar and Electric Guitar. 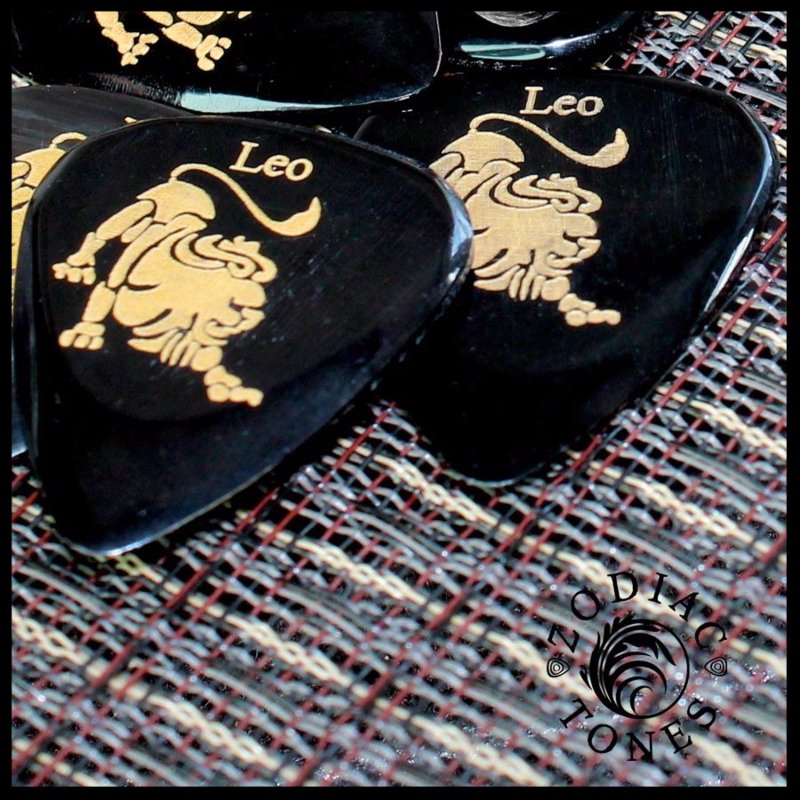 Buffalo Horn has the closest tone to the fabled Tortoise shell picks as it is made from the same Kertain material and thus warm and rounded. 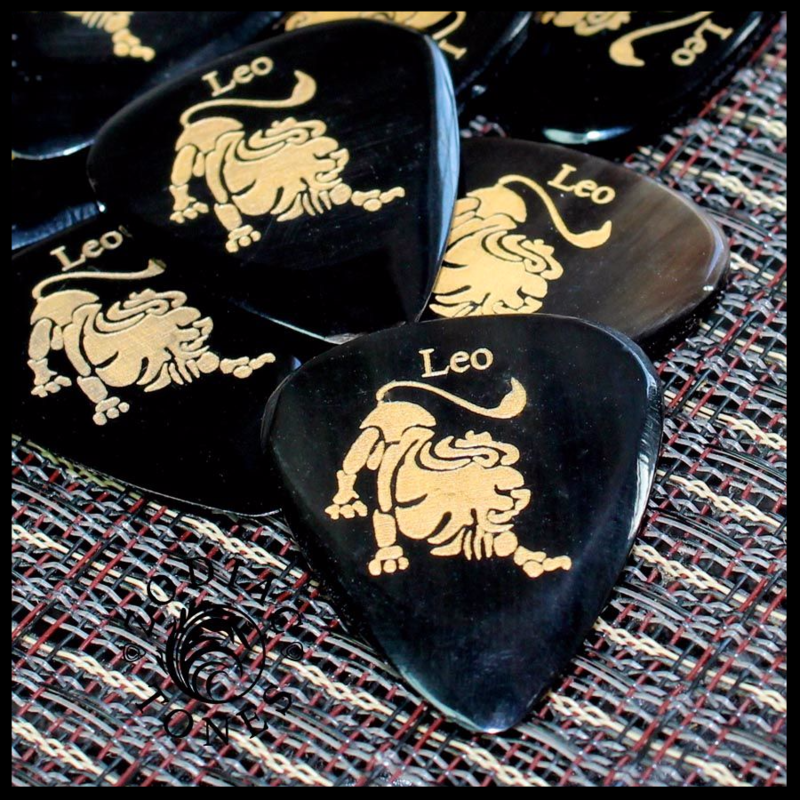 Zodiac Tones are based upon the Classic 351 shape. 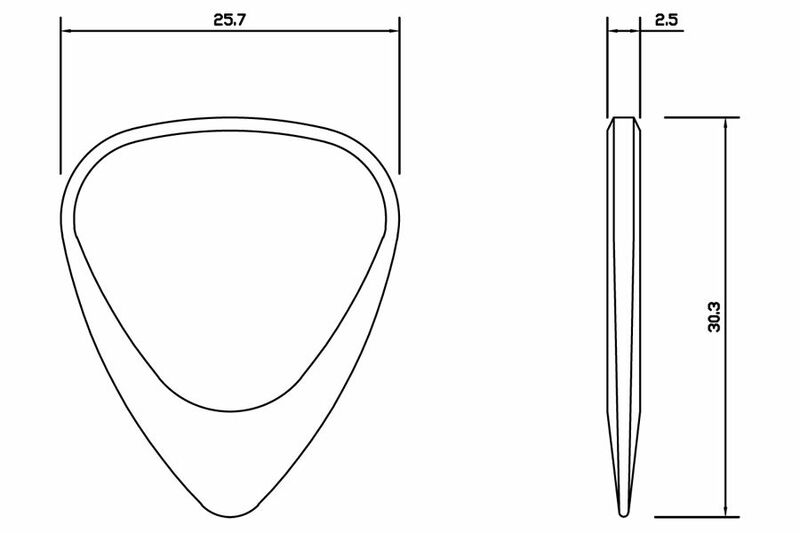 They are CNC Milled to tight tolerances and are&nbsp; 2.5mm thick chamfering down to a playing tip at 0.7mm thick. 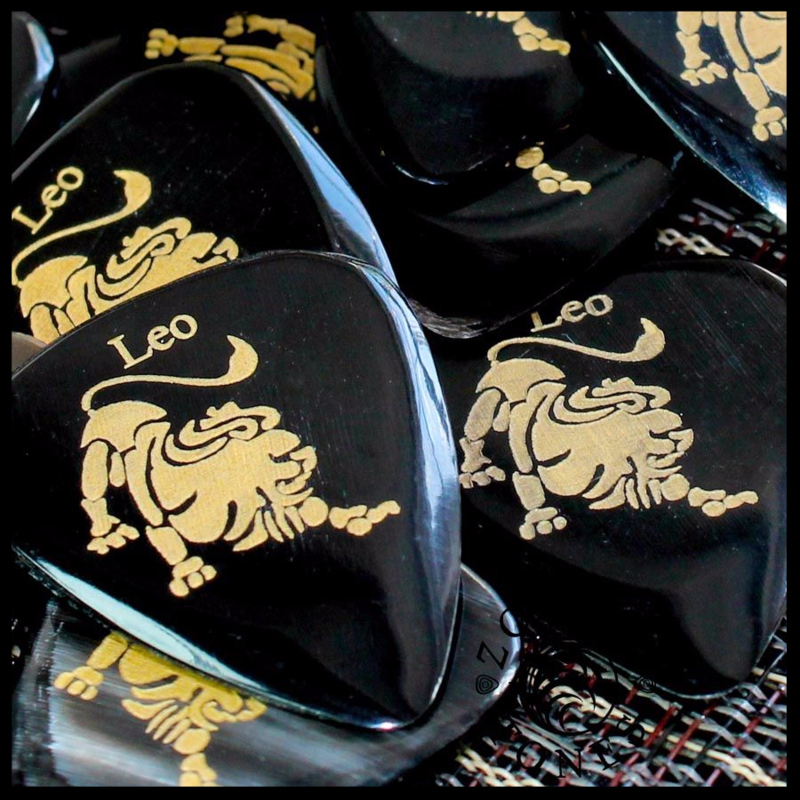 This pack contains 1 Leo Zodiac Tones Guitar Pick. 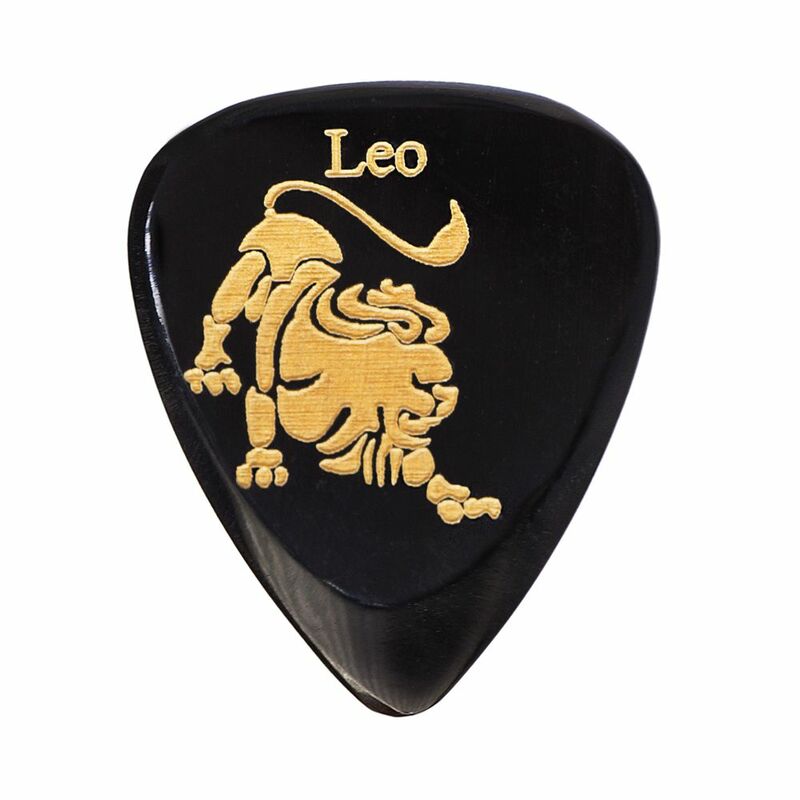 Youll be rolling with the stones and fellow Leo Mick Jagger if you keep your eye on the prize. 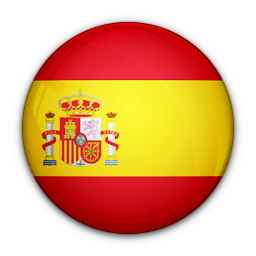 Your ruling planet the Sun makes you the star of the band, but try to treat your band-mates as equals, or you could have a rebellion on your hands when its time to sign your name where it counts.